The best way to start the new year is with a lot of happy colors! 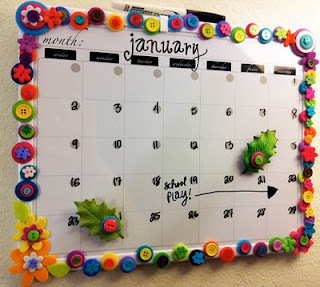 I got this magnetic calendar for Christmas and after I hung it in my room, I knew it needed something crafty done to it. I looked through my mom’s craft supplies and gathered all kinds of little things that I thought would be easy to glue down around the border of the calendar. The best things are the ones that are flat on the back. 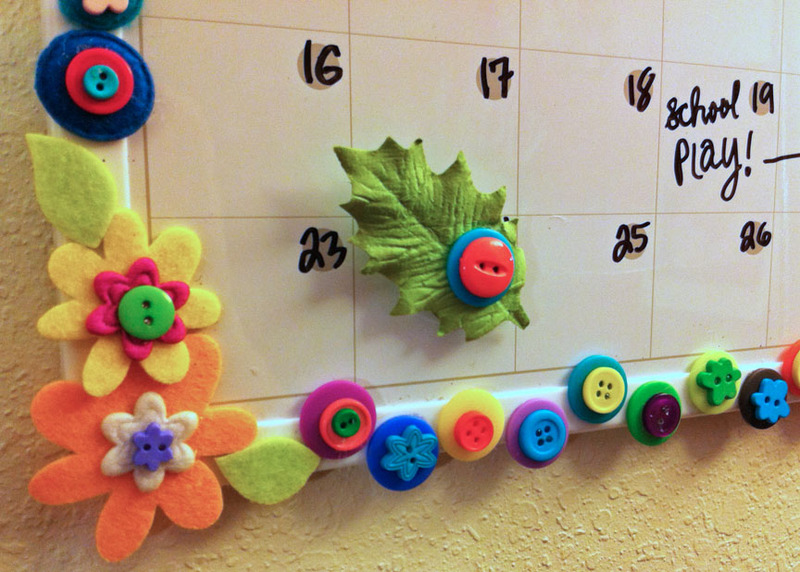 At first I was going to glue all kinds of things, but settled on a flower and button theme. 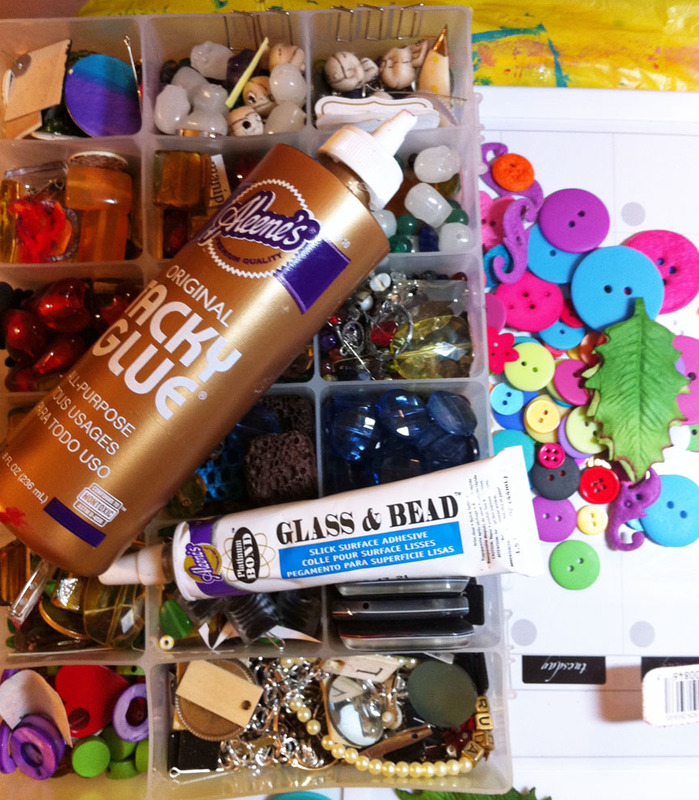 I used two glues: Aleene’s® Original Tacky Glue® and Aleene’s® Platinum Bond® Glass & Bead Slick Surfaces Adhesiv. First you want to set out the things all around the frame until you like the arrangement. 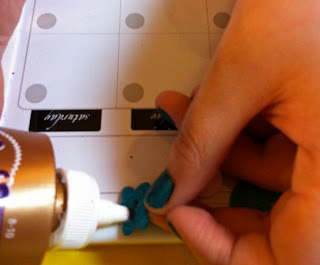 Then you can start gluing them down, one by one. Be patient and let it dry before trying to hang it up! I made mine and let it set over night because I glued a lot of things on there as you can see! First layer of buttons glued down! The board came with magnets and of course I had to decorate those too. I used some silk leaves to go with the flower theme! 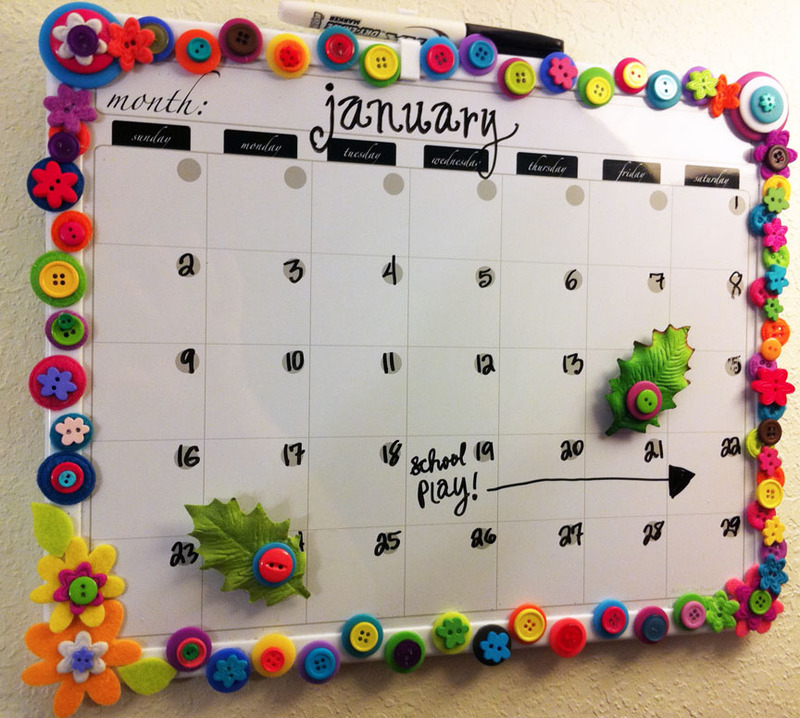 Now I can plan out my exciting year surrounded by cheeriness!